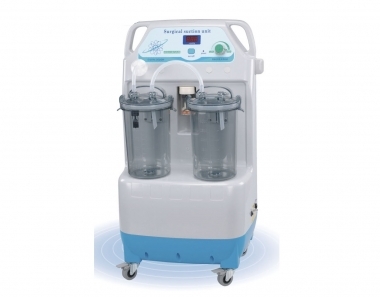 Digital Vacuum Monitor is used to show the suction power so users can easily read it. 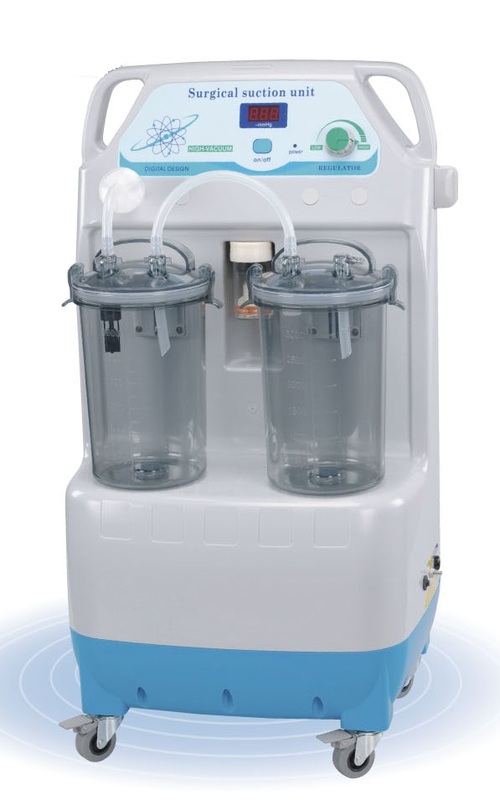 The suction tube directly connects to the suction bottle , so users can easily wash it.It's sanitary & safe. The handle attached to the suction bottle makes users easily lift and wash it. The foot switch adopts air pressure type, so it's anti-moisture, insulating & safe. 360 degrees Individual brake wheel features easy movement and high safety. The fastening rack installed at the side makes the suction tube be easily put. 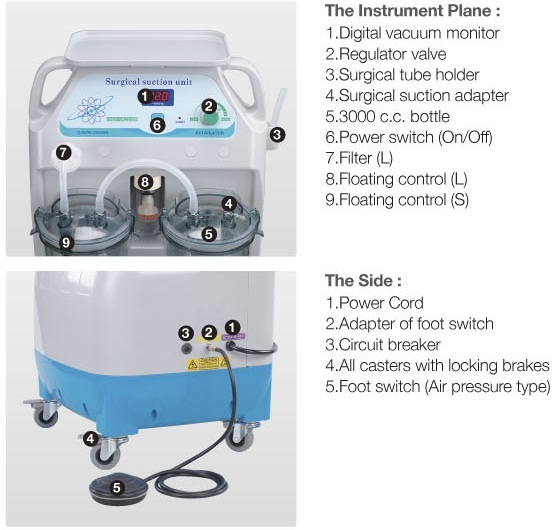 Surgical suction : It's smaller caliber is suitable for general vacuum.